Nintendo has not yet released a two-dimensional Zelda game for the Switch, but Blossom Tales is as close as you're gonna get. If you're looking for a new action-adventure to scratch that Link to the Past itch, this one's for you. 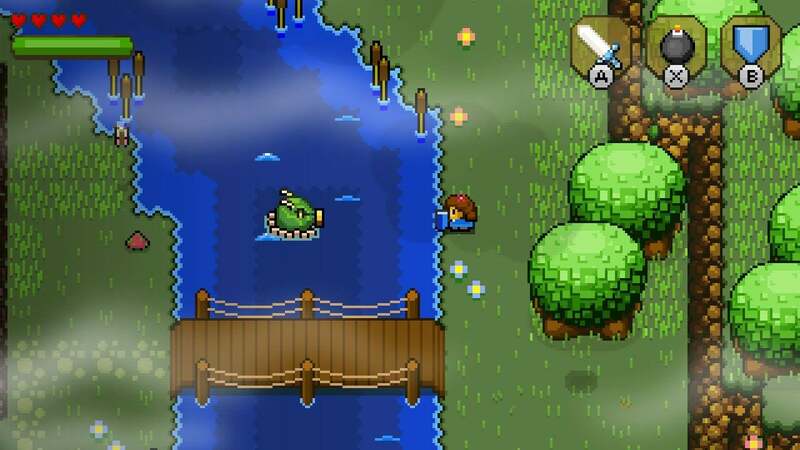 Blossom Tales, which came out for Steam earlier this year but is now on a Nintendo console where it belongs, is an unabashed copy of The Legend of Zelda: Link to the Past. You walk around a series of 2D maps, slashing enemies with your sword, throwing bombs, and shooting arrows. You collect heart pieces that turn into heart containers. You have a spin attack. Tentacled creatures pop up out of the water and shoot rocks at you, and you can use your shield to reflect the rocks back at them. 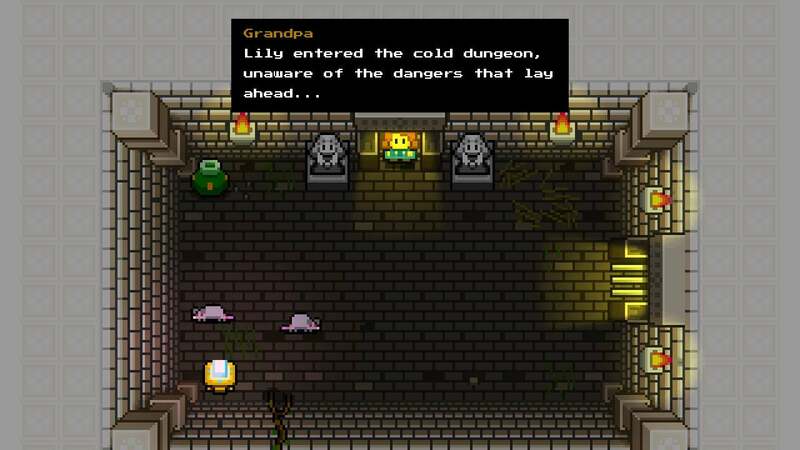 Blossom Tales goes well beyond homage and into straight-up cloning territory. That's not a bad thing. The Zelda formula works for a reason. Blossom Tales is a well-crafted game with a good sense of humour, and it's a blast to explore, slash, and solve puzzles in the world it gives you. I've played through a couple of the game's dungeons, on an early copy of the game provided by the developers, and had a very good time doing it. You, as a knight named Lily, must fight an evil wizard and save the king from a curse that has put him to sleep. That's not the game's story, though. This story belongs to an old man, and the premise of Blossom Tales is that he's telling his two grandchildren about Lily's adventures. As you play through the game, you'll see their commentary pop up on the top of your screen, often in fun, colourful ways. This leads to some fun twists. During one sequence early in the game, for example, the grandfather's children argue over what kind of enemies Lily has just run into. One kid says it's golems; the other says it's archers. You get to pick which kid is correct, and that section of the map will fill up with whichever enemy you chose. The game gives you a few decisions like this, and they're always entertaining. Blossom Tales is charming and adorable, a last-minute entry to the Switch's already-fantastic library, and worth playing if you're craving some new Zelda action. Don't miss it.